I am continuing my tropical theme today, due to the crappy weather we are having. It is so cold and windy out, that I never left my house this weekend. Last week we had rain but at least is was semi-warmish, kind of, but now it’s so bitter cold it goes right through you. 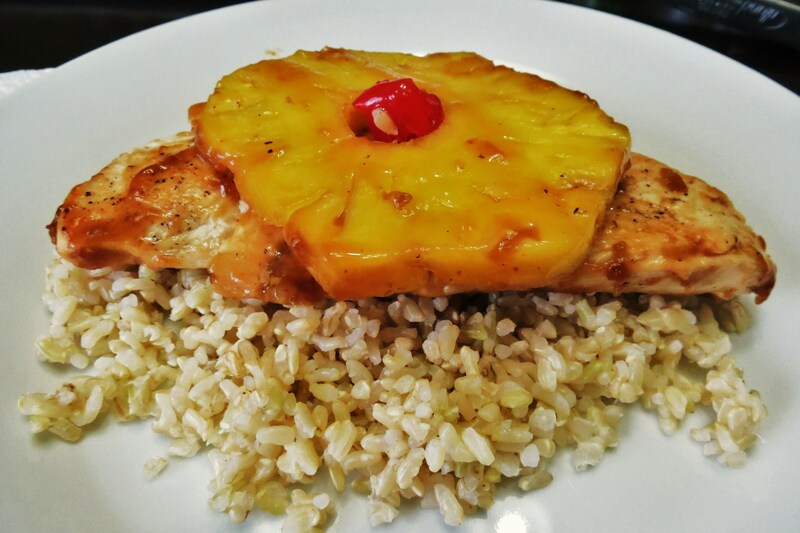 So with all that I am making tropical dishes, in hopes it makes it feel a little bit more like summer. Summer, sigh… how I miss thee. The sauce in the chicken is amazing! Not to mention easy to make. It’s made with low sodium soy sauce, brown sugar, garlic and chili flakes. It’s so perfect and coats the chicken beautifully. I had a fresh pineapple and I sliced it and smothered it in the sauce. This was simply one of the best chicken dishes I have ever made and my family loved it!! I had left overs from this meal and made a fantastic little pizza using flatout bread. I just love having leftovers. I used to hate leftovers up until the last year or so, realizing that the flavors of most dishes taste better the next day. This little pizza proved me right! 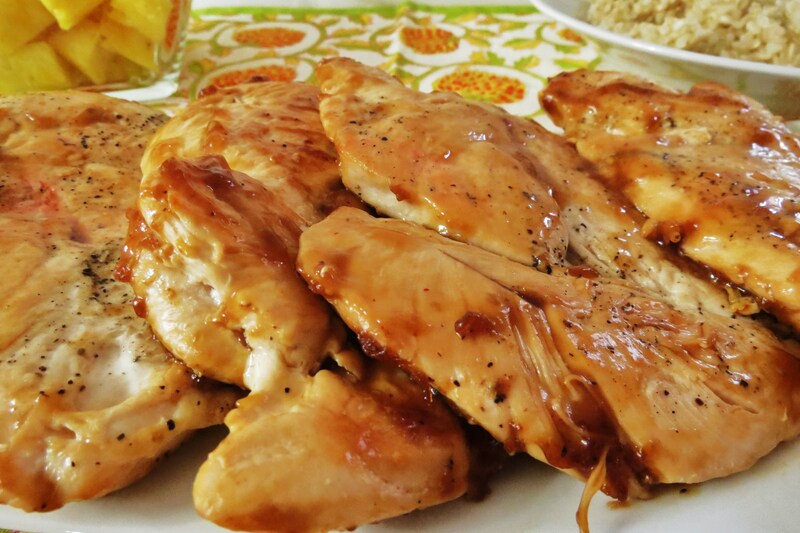 The Teriyaki Chicken is a quick meal to make and is perfect for a busy weeknight. I served my chicken on a bed of brown rice and served with a side salad. 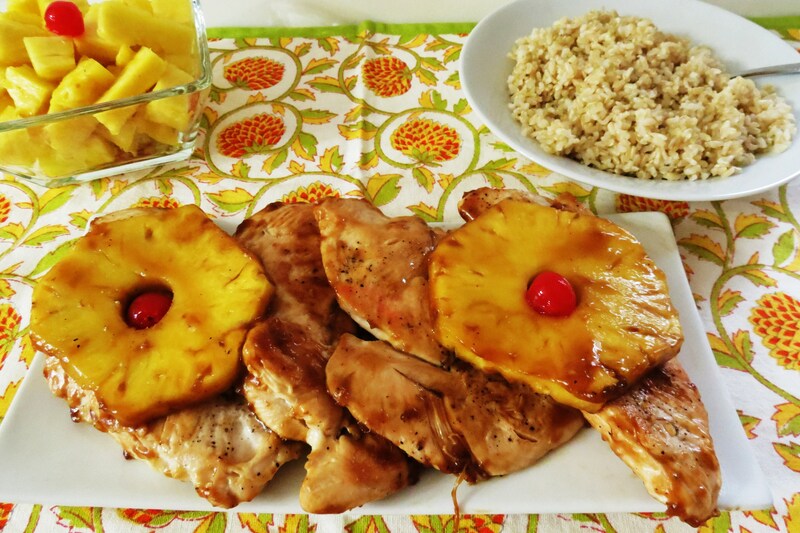 The chicken with one slice of pineapple is only 173 calories! You can’t find that at a Chinese restaurant. Not to mention it tastes so much better and is healthier for you. Place each chicken breast portion between two pieces of plastic wrap. Using flat side of a meat mallet or rolling pin, pound chicken lightly until about ¼? thick. Remove plastic wrap. Sprinkle chicken with salt and pepper. In a large skillet melt butter over medium heat. Add chicken and cook for 6 – 8 minutes until browned and no longer pink in center. Remove chicken from skillet, set aside. In a small bowl add 1 tbsp. corn starch and 2 tbsp. water. Stir until corn starch is dissolved, set aside. In the same skillet add remaining ingredients, and bring to a boil. Add cornstarch mixture and stir constantly until thicken. Add pineapple rings to skillet and cook until warm and completely covered with sauce. Take pineapple out an set a side. Add chicken back into skillet and coat with sauce and heat until warm. 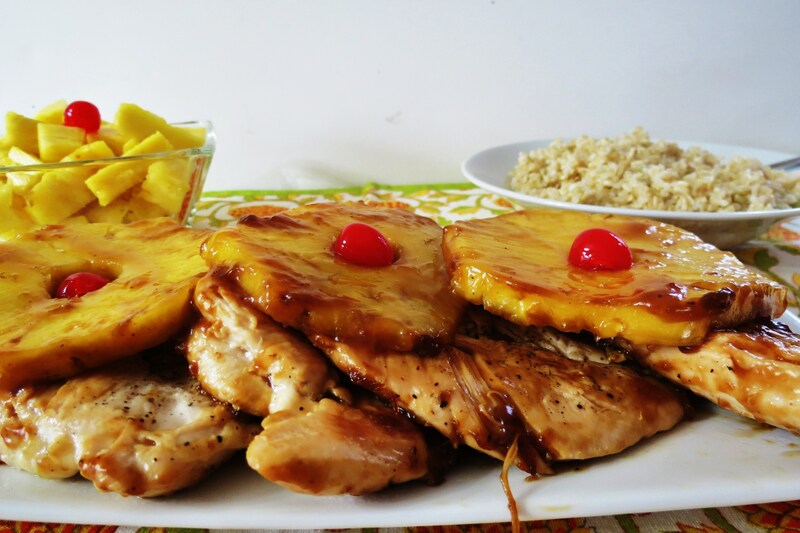 Place chicken on a plate, top with pineapple rings. 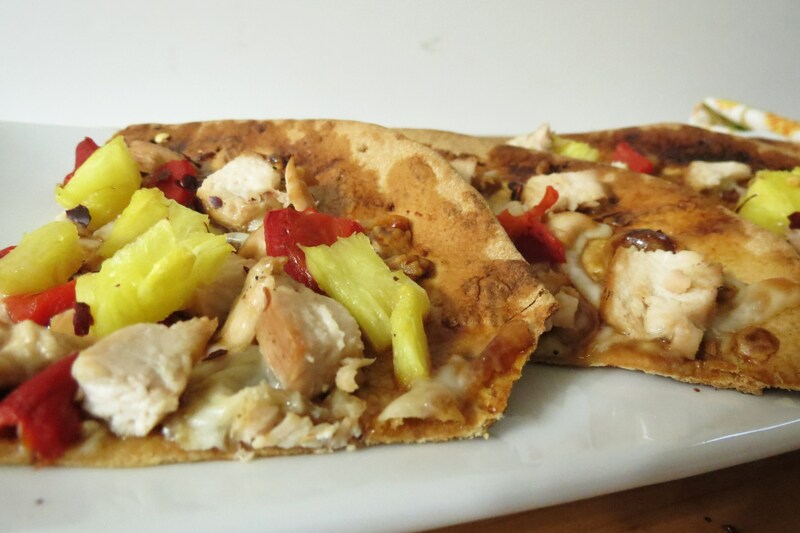 On Flatout Bread, add your sauce, top with chicken, pineapple, pepper, mozzarella cheese and chili pepper. Place pizza on a parchment lined baking sheet and bake for 7 – 10 minutes. Watch it so it doesn’t burn. The pizza really makes for a wonderful lunch or dinner. Well my friends, it’s dinner time for me and I’m starving. I’m really trying to be better about snacking. Trying to stick to two light snacks a day and 3 main meals. It’s hard, but I know I can do it. Tomorrow is my official weigh in and I am afraid of what the scale will say. Eck!!! Oh, as a friendly reminder, as you know I was nominated for Healthiest Eating Food Blog on Fitness Magazine and would love it if you voted for me. So far I only have 47 votes and I want t reach 54, if you like my blog, please vote for Peanut Butter and Peppers. To vote for me, just go here. Thank you, much appreciated!! That does sound like a good idea, and I’m hungry right now!! Oh, this would be wonderful as a sandwich! Dam, wish I had more leftovers. I’m going to make it again and do as you say, make it a sandwich!! Lol, you made me chuckle!! If you want some spring/summer-ish weather you should come visit me! It’s been in the mid to high 60s here in NYC and I’m LOVING it! 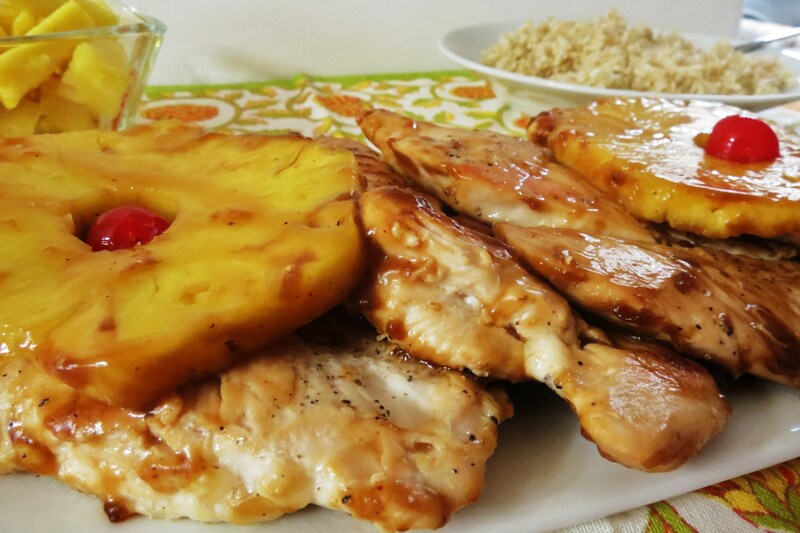 The pineapple is definitely the perfect touch for this chicken. Love it! I would love to come to NY! I lived in NY (Buffalo) all my life and it was always cold, rainy or snowing and now there getting great weather and in California were getting the cold. It’s gotta be global warming? I love teriyaki anything! 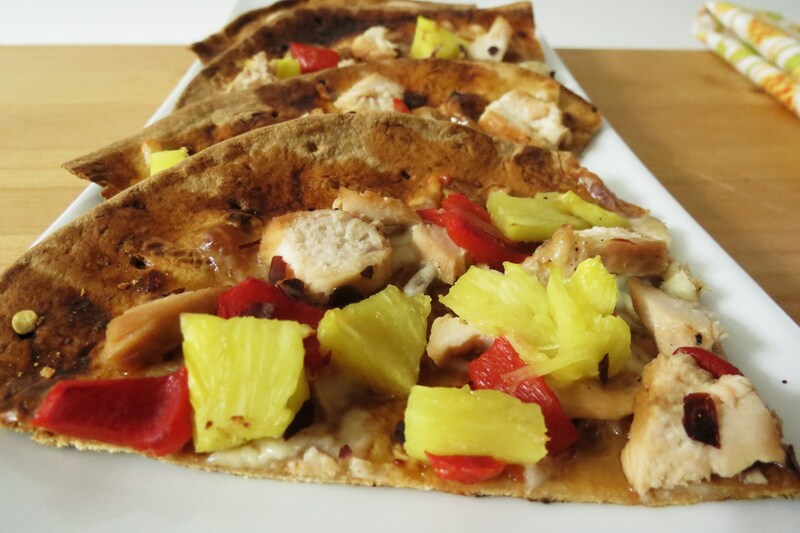 This chick looks great and I love the idea of adding it to a pizza with pineapple! Yum! Thanks! I really loved it as a pizza and it’s so quick!!! This chicken dis was a sure family pleaser!! This looks great! I was looking for a healthy chicken dish to cook tonight and I have all the ingredients! Hi, If you make the recipe, let me know what you think! Enjoy!! This is making me really hungry. 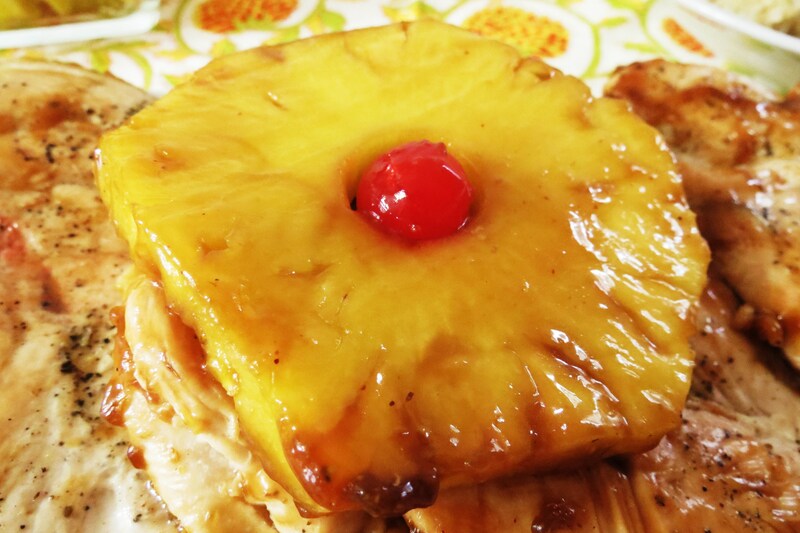 I love the pineapple topping – delicious! I LOVE ZipList. I have their app on my phone, it’s great for synching up with the recipes you want to make! It looks pretty nice too. Yummy recipe, I’ve been meaning to have a Chinese food night because the take-out places in my town are just horrible and incredibly greasy. This chicken looks so juicy and tender–cooked to perfection indeed! It snowed here today so this recipe is perfect. 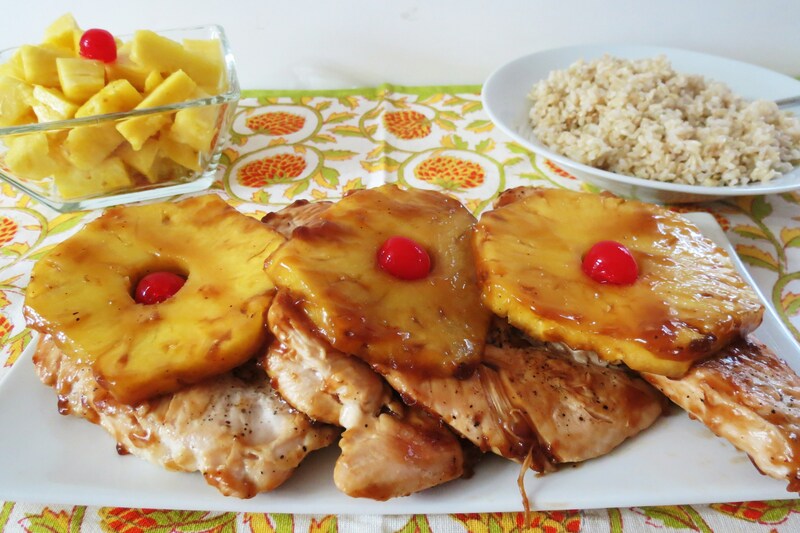 Chicken with pineapple…yes I think so! Now when can I pull out the grill outside?! Jennifer, this looks like the perfect dinner in my book! Thanks for sharing! This chicken looks delicious! I love teriyaki chicken. Love what you did with the leftovers too – great job! I want that teriyaki pizza NOW!!! It looks so fresh and delcious – the perfect segway to spring! This looks tasty! I love pineapple on almost anything 🙂 Sounds like a perfect summer dish to me!